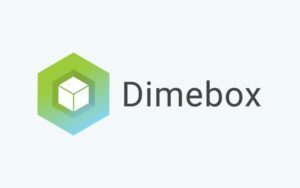 Dimebox, the only full-stack white-label acquiring platform in the world, has announced the release of a proprietary fraud predictor service based on machine learning. The service is designed to detect evolving fraud patterns, allowing fraudulent payments to be blocked accurately without hindering legitimate transactions. The fraud predictor trains itself on batches of transactions that are known to be legitimate or fraudulent, from specific merchant databases, creating a deep understanding of the kind of fraud that is targeting individual merchants. Within the Dimebox platform, transaction rulesets can then be employed to automatically stop a transaction before it is completed, if the predicted likelihood of fraud is above a defined threshold. The fraud predictor uses self-learning algorithms to calculate a fraud score for every transaction, allowing the user to decide whether or not the score is high enough to warrant blocking, in the context of other criteria. This means the user’s risk appetite can be controlled with extreme precision, creating the right balance between blocking fraud and allowing regular transactions to go through unimpeded. Because the Dimebox full-stack white-label acquiring platform offers end-to-end processing, fraud data is collected directly by the gateway, via chargebacks and fraud reports—Visa’s “TC40” report and Mastercard’s “SAFE” report— through direct access to card issuers. By adding the fraud predictor feature to their platform, Dimebox expands their fraud offerings for merchants, PSPs and acquirers by increasing authorization rates and minimizing chargebacks, while eliminating the need for large fraud analysis teams.